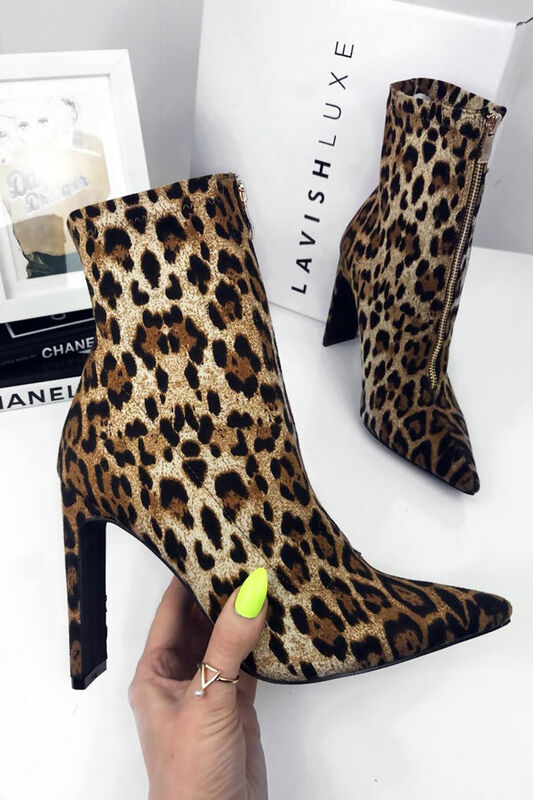 We are in love at LL HQ with these hot new leopard print boots! 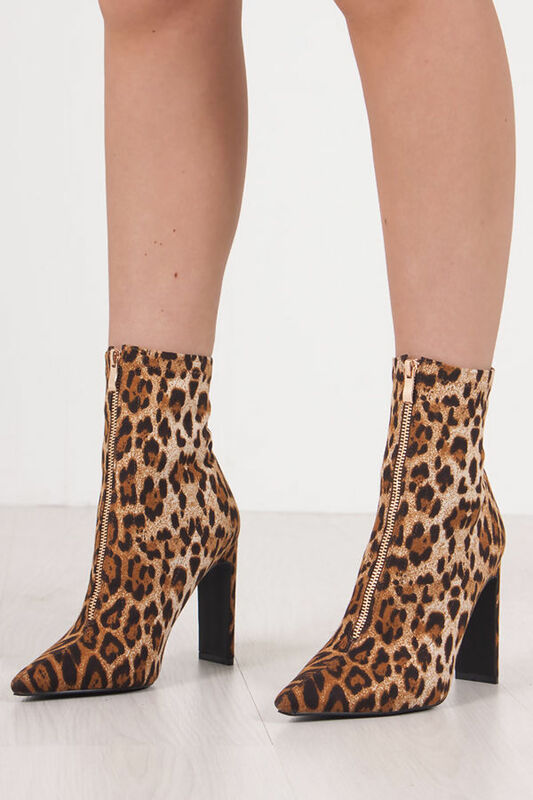 Our JHENE sock boots feature a gold zip front, with a pointed toe for some extra details! 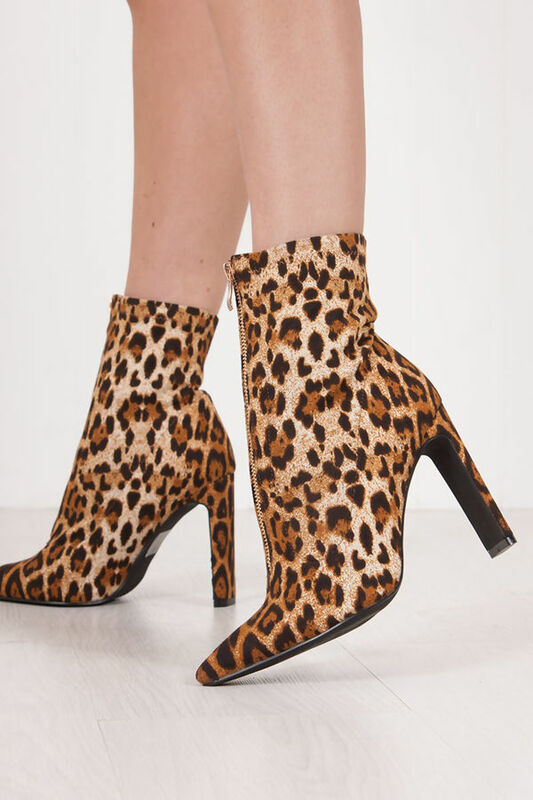 With a slim block heel these ankle boots are perfect for taking your outfit from 0 - 100 in no time! We are styling our block heel boots with a PU leather look belted dress for some extra AF vibes!